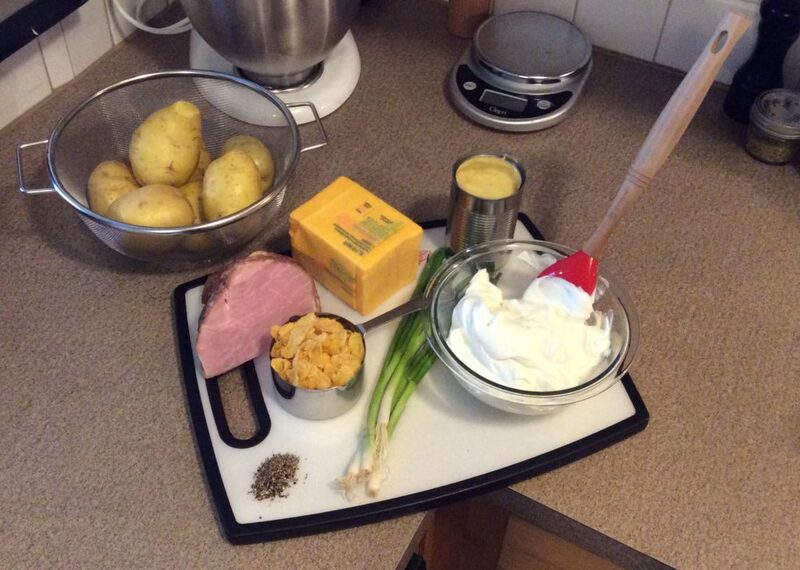 Before you melt all your butter decide whether you are making it all now or doing it the night prior. If you’re doing it the night prior only melt 1/4 C. of butter. 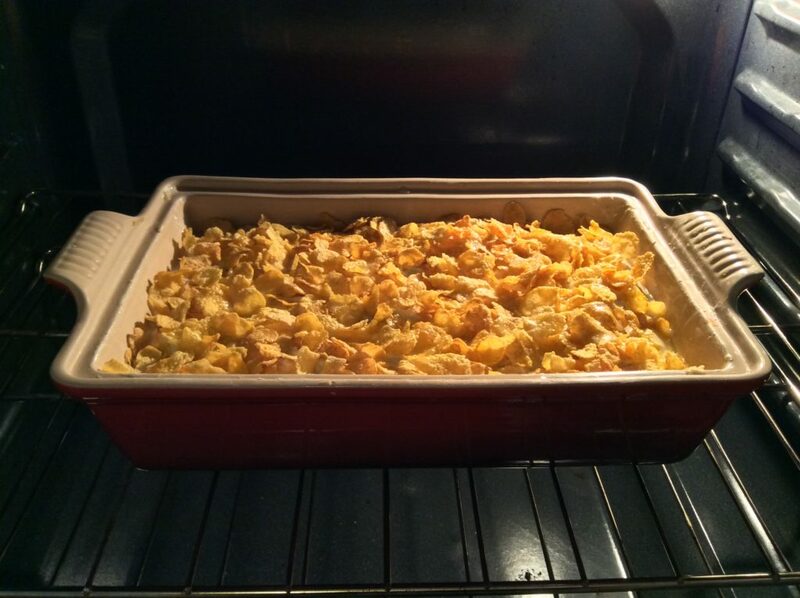 Set aside the crushed corn flake cereal and 1/4 C. of melted butter. Then take the remaining ingredients and mix them all together. 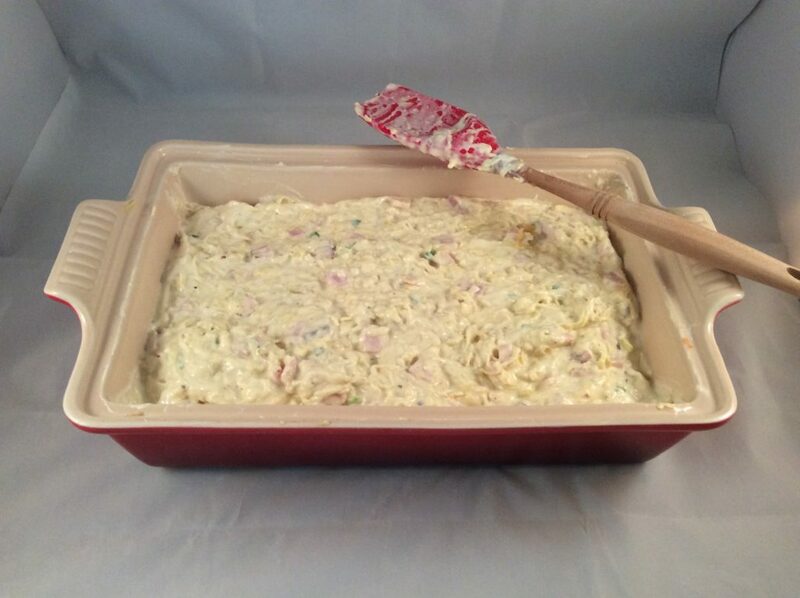 Do this either in a bowl or the casserole dish. (Optional) Cover and keep chilled until morning. 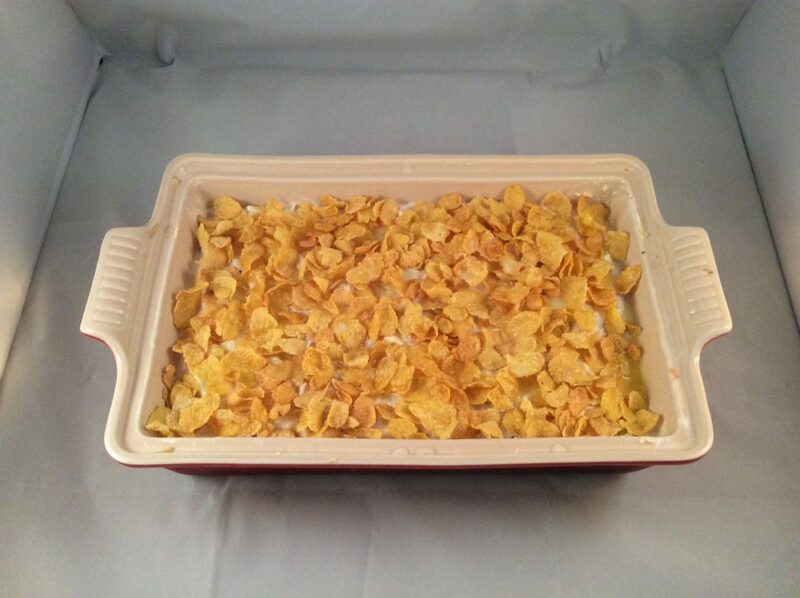 Sprinkle the crushed corn flake cereal over the top evenly. Drizzle the remaining butter over the top. Bake for 1 hour at 350° F.
A serving of this hearty dish will sate your hunger easily until all the gifts are torn apart. Easy to make and sure to please perhaps you’ll make this a staple for your christmas mornings. If you care a little more about appearances than I do and you’re using fresh potatoes like I do then you’ll want to add about 3 T. of flour and 1 T. of corn starch. 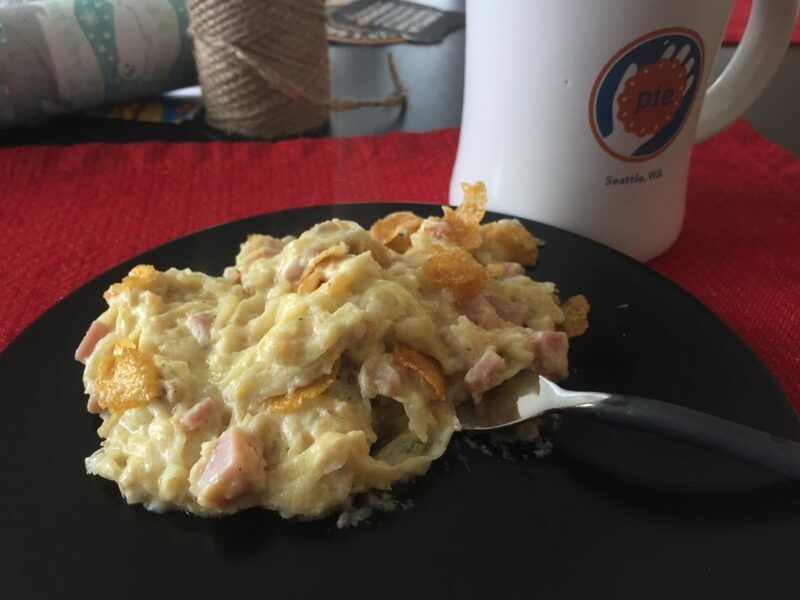 This will help firm the casserole up in a way that frozen hash browns would being that they have all sorts of extra ingredients that aren’t necessary. If you’re looking for a vegetarian route for this I would suggest substituting the ham with 5 whipped eggs and 1 chopped bell pepper.